The world’s first mobile hardware wallet for Bitcoin, Ethereum, Litecoin, XRP, Bitcoin Cash, and ERC20 Tokens. 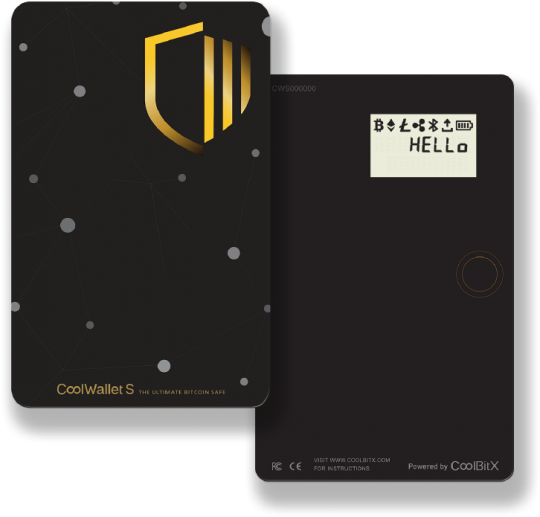 The CoolWallet S is no ordinary hardware wallet. It’s a contemporary mobile solution that truly secures your crypto assets and empowers you, the investor. It stays safely in your pocket, giving you discreet access to your investment, on the go, wherever you are. 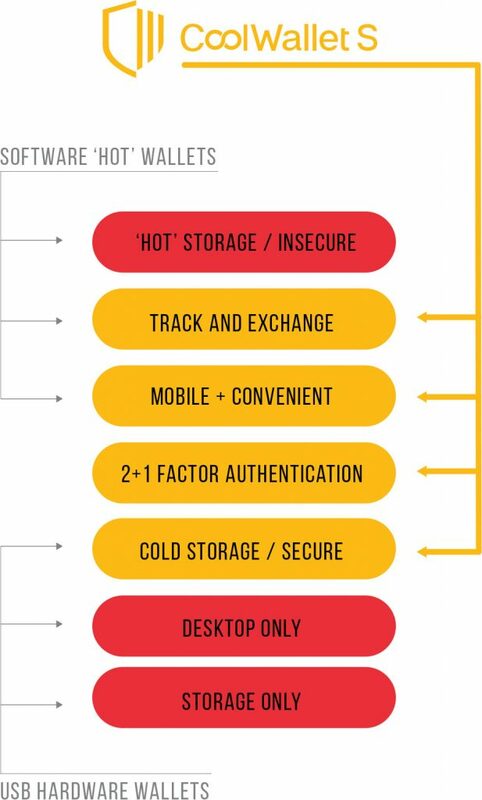 Thanks to the combination of both usability and the patented tamper-proof security, the CoolWallet S is the cold wallet of choice for many of the world’s crypto leaders. 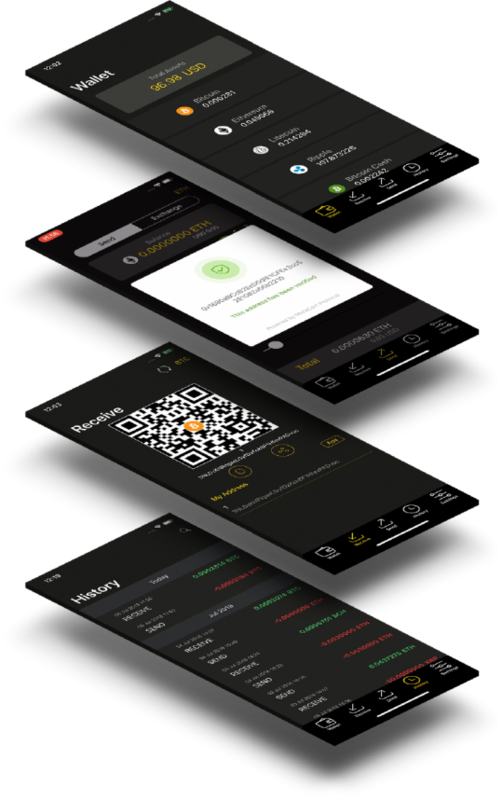 The perfect app to compliment your CoolWallet S. Paired via military-grade bluetooth encryption to ensure that your crypto assets are never exposed to the internet. Instantly see the value of your investment with an intuitive dashboard. Use the world’s quickest and most secure wallet to efficiently perform crypto transactions. Each transaction requires 3 quick verification steps to ensure your asset security. Swap your favorite coins and never miss a trading opportunity again. 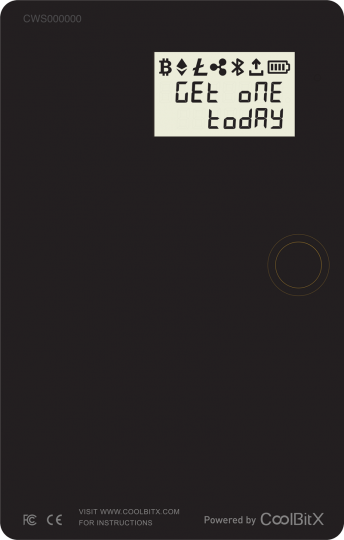 The CoolWallet S succeeds because of its ease of use - it only has one button. However, under the hood we’ve built cutting-edge security technology. Generate seed directly from the CoolWallet S (recommended) or via the CoolBitX Crypto App. 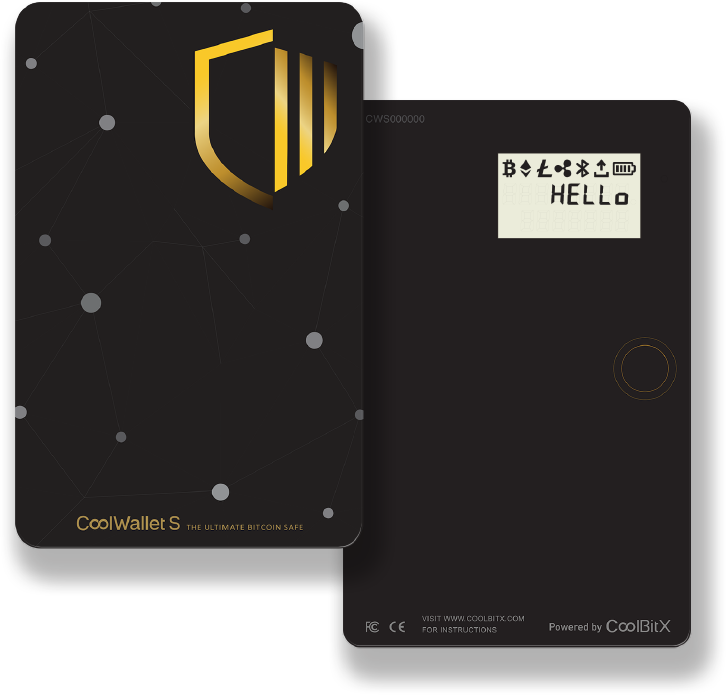 I've used many crypto hardware wallets and CoolWallet S is the best one. To enable digital identity, security, AML/KYC ready and financial inclusion, CoolBitX provides an integrated solution. I support the team's dedicated focus and unwavering effort to make Taiwan a champion in the digital economy. 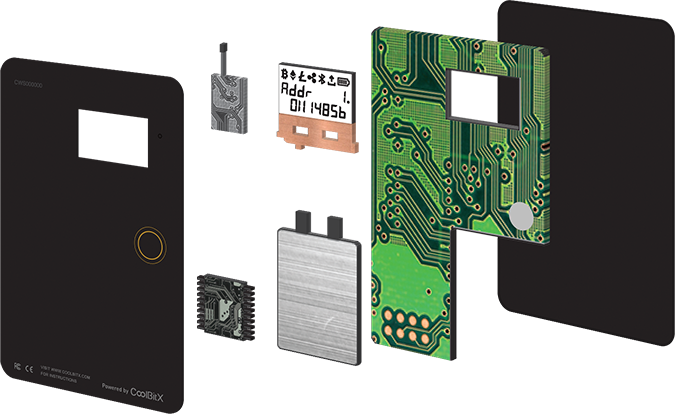 The CoolBitX team provides outstanding products, which brings decentralized security to a whole new level. CoolWallet S is my default hardware wallet because it's easy to use, secure and my favourite colour: black. Don't tell blue. Why Risk It? Secure Your Assets Now.